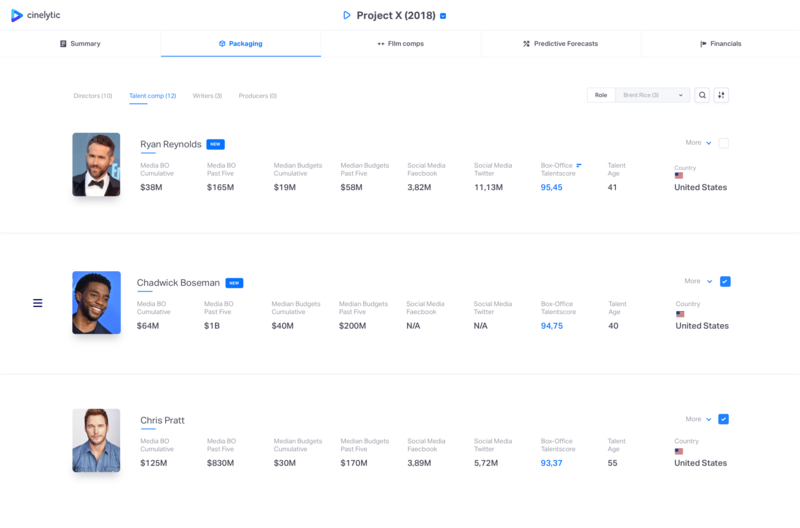 Cinelytic helps Studios and independent Film Companies make faster and smarter decisions throughout a film’s value chain. Improve decision making with powerful analytics tools that help evaluate content opportunities and bring profitably. Reduce the likelihood of failure by introducing a methodical assessment approach to green-lighting. Free up valuable time by managing projects more efficiently on our cloud based, multi user platform. 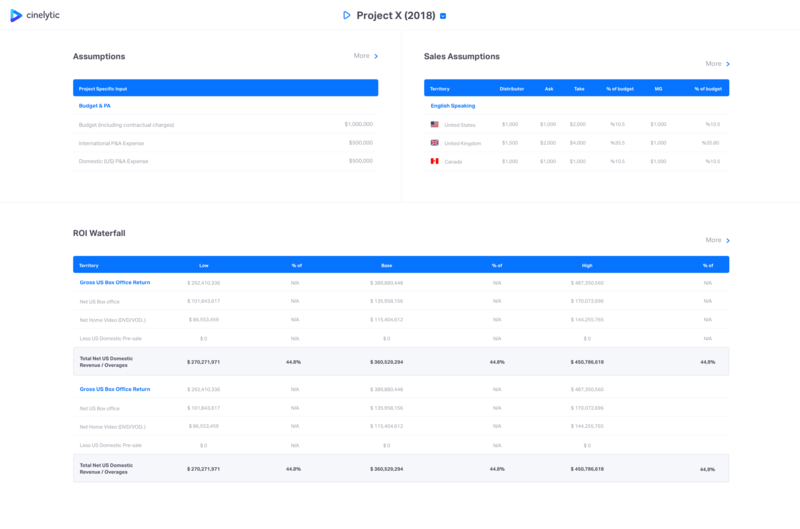 Real-time data and analytics in a project management platform. Integrated, multi-user project management increases efficiency, saves money, and makes work easier. 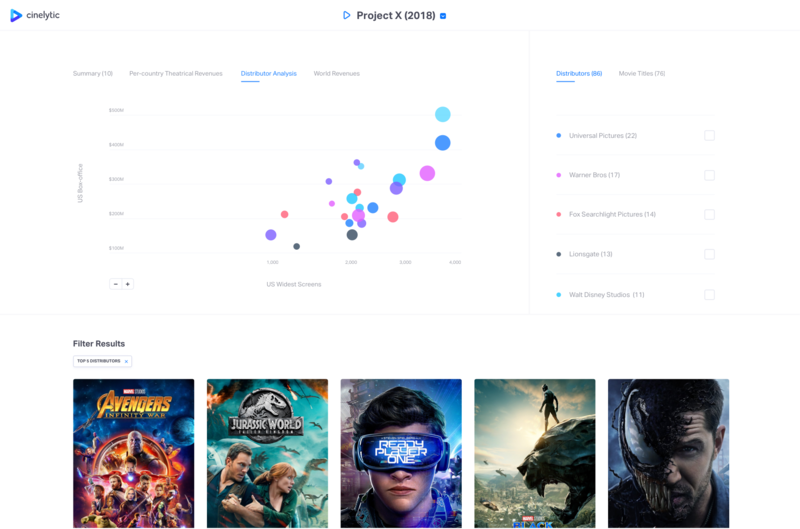 Cinelytic is the only platform in the film industry that provides data and analytics in an integrated project management system, enabling companies to quickly and consistently inform decisions throughout a film’s value chain. 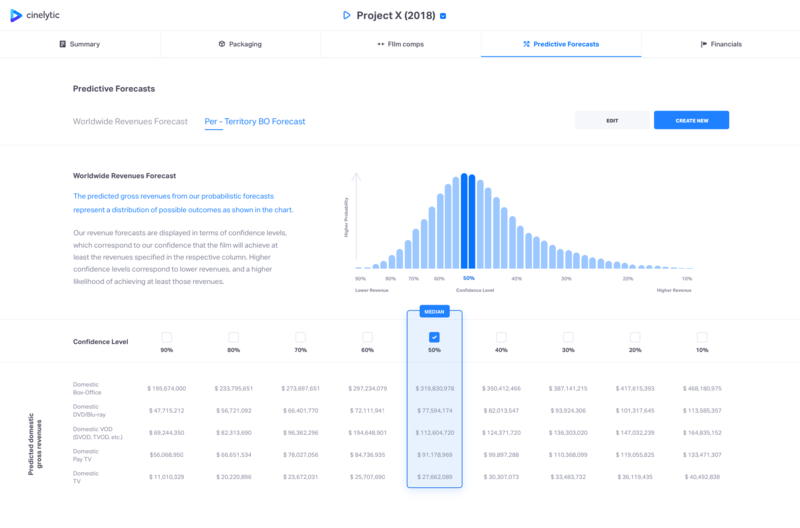 With our suite of easy-to-use tools, you can take a deep dive into project and talent analytics in just minutes. Integrated film and talent analytics tools help to rapidly gain data-driven insights in minutes, rather than days or weeks. Pre-calculated key metrics at your fingertips, intuitive and dynamic data visualizations, and PDF export save valuable time and effort. Get real-time box-office and media (Digital and Physical HV, Free and Pay TV) revenues predictions to inform green-lighting decisions. On demand predictive forecasting saves time, and makes the forecasting process more objective and standardized. Our Financial Model enables you to rapidly understand the ROI potential of your film, even with complicated financing structures. 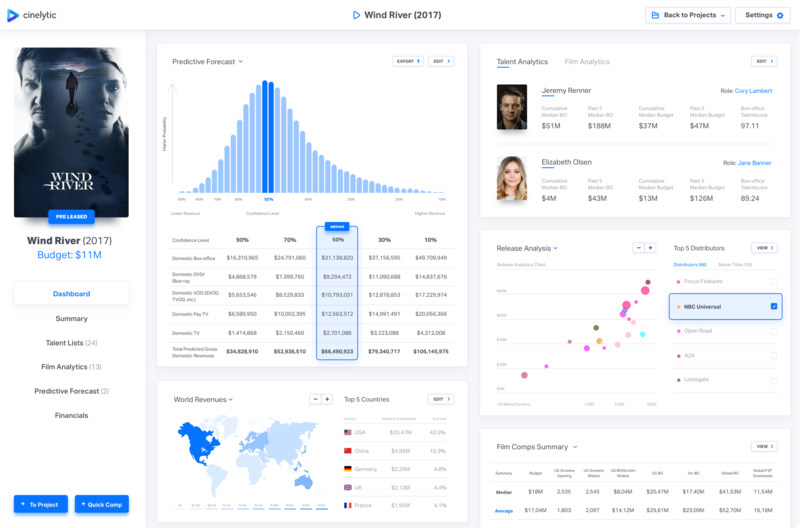 Data and analytics platform Cinelytic secures investment from Thai film fund. Patent Pending, Serial No. 14/645,207 Copyright © 2015-2018. All rights reserved.